It is clearer than ever that immediate and drastic action is required to slow the rate of climate change. While urgent action is needed, it is also clear that forests have a significant role to play in the climate crisis solution. The latest Intergovernmental Panel on Climate Change (IPCC) report outlines the global impacts of 1.5 degrees of global warming, and that limiting warming to this degree requires both huge reductions of carbon dioxide (CO2) emissions and also the removal of excess carbon dioxide from the atmosphere. Whilst high-tech carbon dioxide removal solutions are continuing to be developed and modified, we cannot forget the oldest ‘natural technology’ we have at our fingertips… forests! This is currently the only proven method of removing and storing atmospheric CO2 at a scale and cost that can get close to achieving carbon balance and helping us reach our 1.5 degree targets, avoiding dangerous climate change. The Climate and Land Use Alliance highlighted five, often overlooked, reasons why limiting global warming requires protecting and sustainably manging the forests we still have standing and restoring the forests we were not quick enough to save. The world’s forests contain more carbon than exploitable oil, gas, and coal deposits. Therefore, avoiding carbon emissions from the loss of forests is just as urgent as halting fossil fuel use. Achieving the 1.5 degree goal requires massive forest restoration to remove excess carbon dioxide from the atmosphere. Bioenergy is not the primary solution. 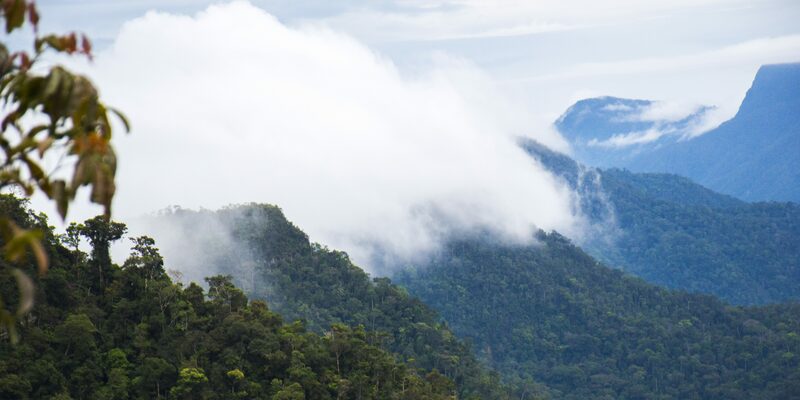 Tropical forests cool the air around them and the entire planet, as well as creating the rainfall that is essential for growing food regionally and beyond. Their message in response to the IPCC report is simple: “Our planet’s future climate is inextricably tied to the future of its forests”. In simple terms, what this all means is that it is imperative we protect and maintain healthy forests to avoid dangerous climate change and to ensure the world’s forests continue to provide all the critical co-benefits for not only the well-being of the planet, but all life on earth, including us. Contact us to find out how you can play your part in saving vulnerable forests that need to be protected and can provide your business with a nature-based climate solution.